In 1992, Hitt delivered his inaugural address, which outlined his priorities for the university and his commitment to partnership. Behind the scenes of President Hitt’s final commencement ceremonies this spring. Here are a few of Hitt’s major accomplishments from the past 26 years. President John C. Hitt and President-elect Dale Whittaker discuss life lessons learned, their favorite UCF tradition and the future of UCF. How John C. Hitt changed Central Florida for the better. 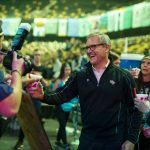 Much more than a shiny token, President Hitt’s Pegasus ring represents a big commitment to UCF — and he’s not the only person to wear one. 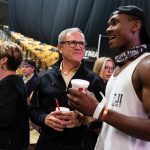 Martha Hitt on why she fell — and keeps falling — in love with UCF. 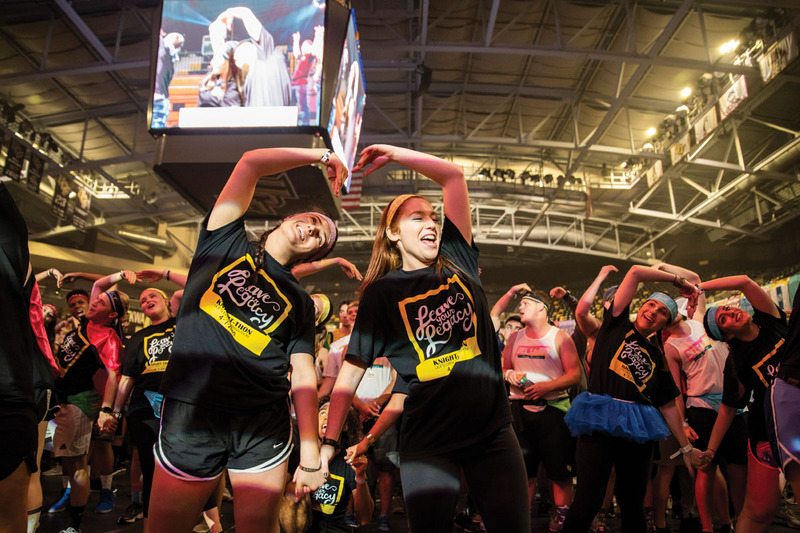 Dale and Mary Whittaker help students power through UCF’s oldest philanthropic tradition. Here are a few of President Hitt’s favorite things, each one offering a glimpse into his world. For a quarter century, President John C. Hitt worked to put UCF on the map. But who is the man behind the evolution? 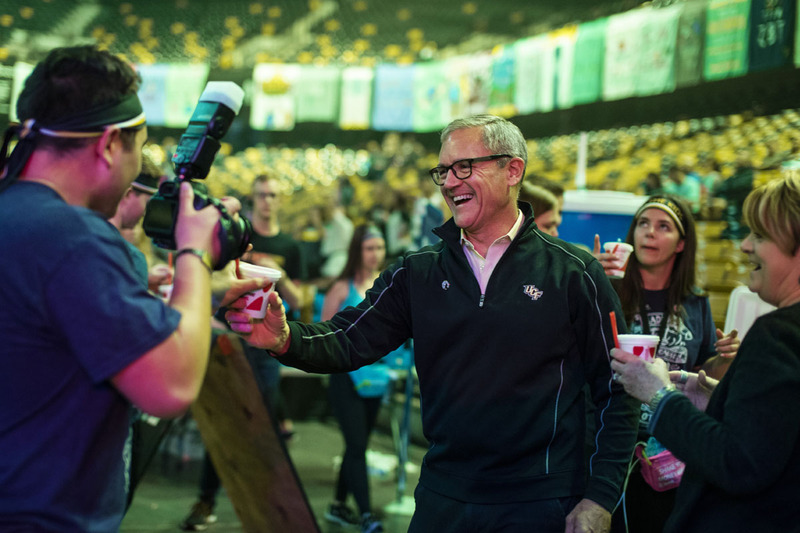 Insight, wisdom and tongue-in-cheek musings from UCF’s fourth president. President Hitt shares what it means to be a Knight. 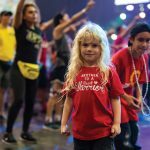 The annual dance marathon, held at the CFE Arena on April 7, raised $1,584,698, which is $333,000 more than the funds collected last year. 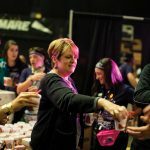 Mary Whittaker hands out smoothies to help more than 1,000 participants keep up their energy while they dance for 20 hours to benefit Children’s Miracle Network. 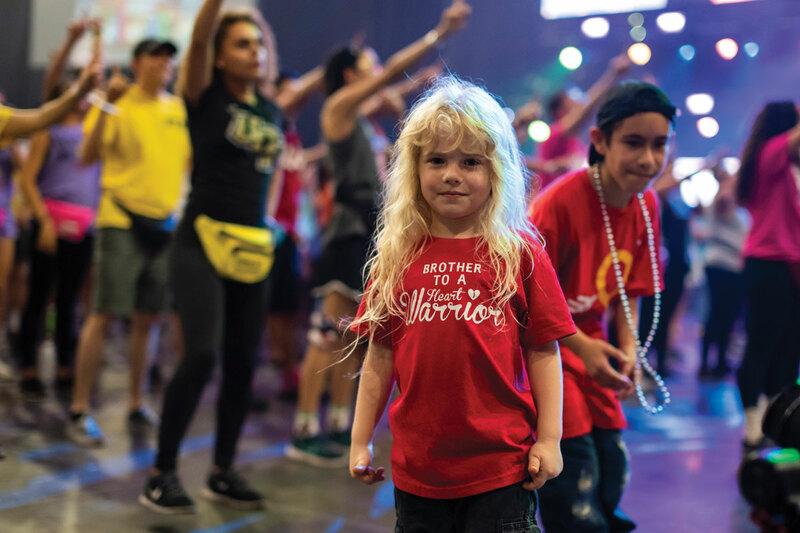 The national charity supports children’s hospitals across the nation, and funds raised by UCF benefit Orlando’s Arnold Palmer Hospital for Children. 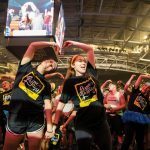 The 2018 event marked 22 years that students have participated in Knight-thon.